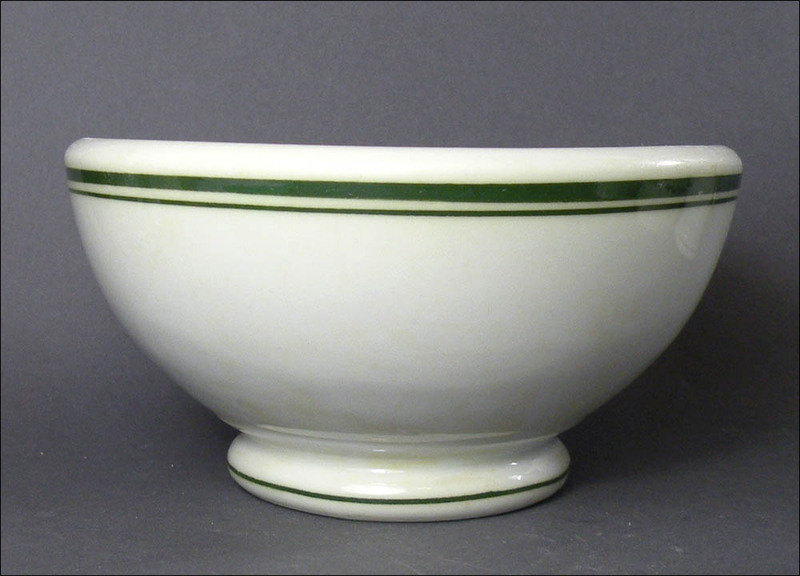 This beautiful green-lined pedestal bowl is in excellent condition with a bright and shiny glaze. 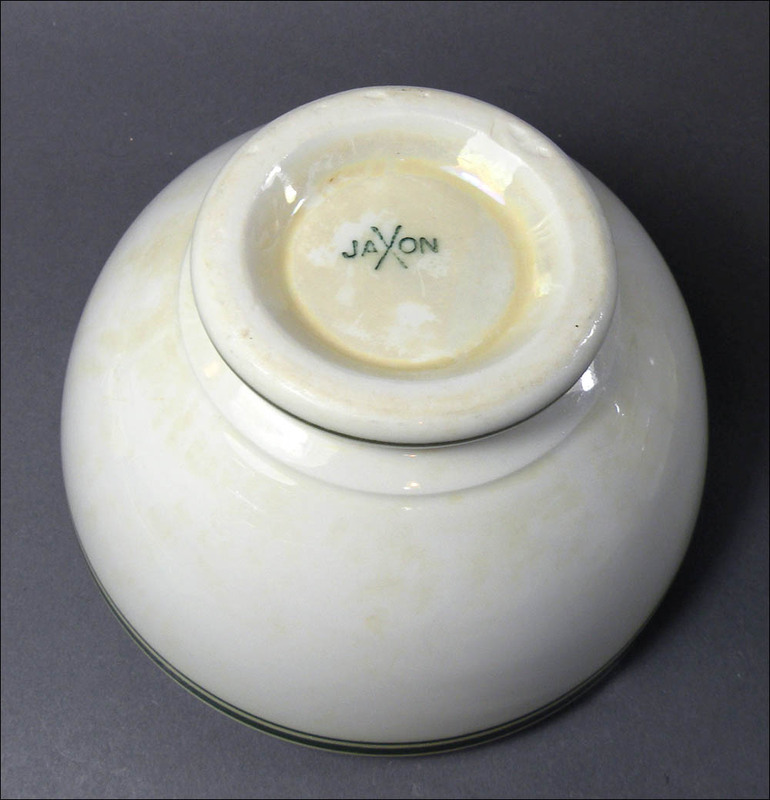 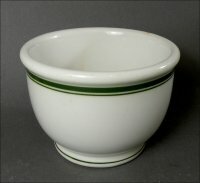 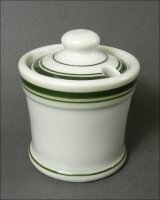 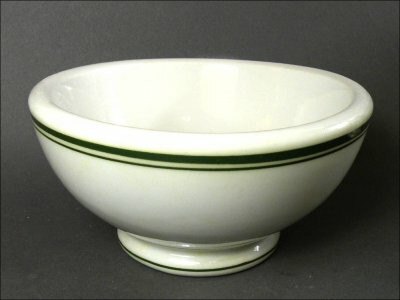 It is described in Jackson's earliest catalog as a "high foot cafeteria bowl" and measures 5 1/4 inches in diameter by almost 3 inches high. 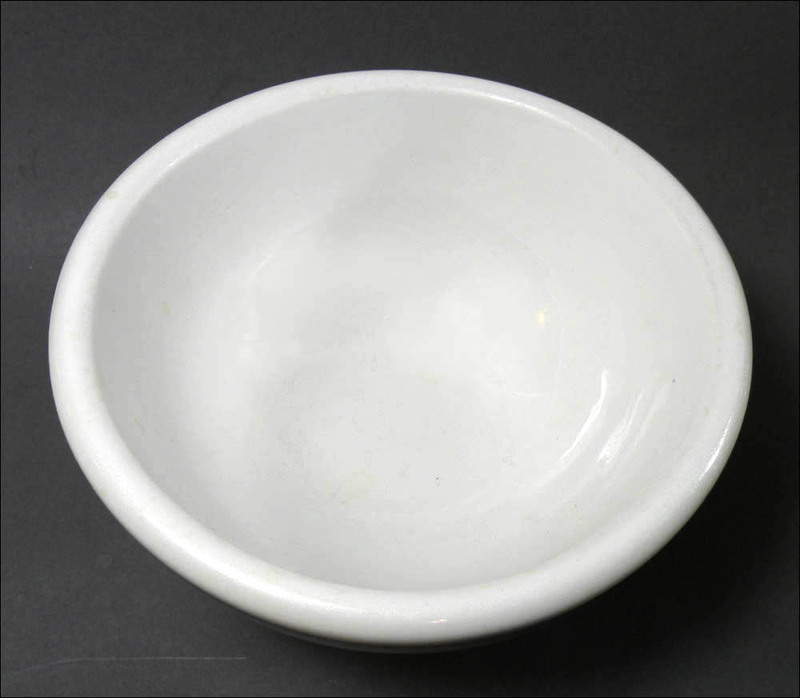 It is a beautiful, extremely heavy bowl for its size and is in excellent condition, with medium use marks in the well and a shiny glaze. There are a few manufacturing dings in the foot that do not affect its quality.